Alright with the magical girls behind its time to delve into the realm of CGI in anime. Now we all know Computer Generated Imagery is the bane of the devil is most cases and creates weird looking animation that just doesn’t look as good as the normal good 2D stuff. But with this community watch along let’s celebrate the anime that actually get CGI right, so we’re looking for CGI heavy shows that you either think are actually good or have been interested in watching. Of course the CG itself doesn’t have to be good, something like the story or other factors could make it worth it in the end, or it could jut be CG done right too. So it needs to be pretty heavily used, either the entire show is CG, maybe all the charcatarrs are or all the backgrounds. Even if that’s not the case I migh allow it if REALLY present but it’s got to be heavily used and part of the viewing experience. 3. It has to fit the category, I'm the final arbiter on if it counts. 4. Not a rule but please provide a Key Visual along with your nomination. 6. Usual OS rules still apply, be nice and don't ruin other people’s fun. 7. No hate watching! You’re allowed to not like the show and talk about why but don’t keep watching with the intent of hating on it. 8. No one needs to justify their opinion, negative or positive everyone has their own taste and is allowed to voice themselves. As long as they don’t break any other rules. Last edited by Eira on Sat Dec 08, 2018 4:04 pm, edited 5 times in total. I hate CGI heavy anime. Knights of sidonia, available on Netflix. A thousand years ago, our solar system was destroyed by gigantic shapeshifting-aliens called Gauna. The human race created massive spaceships before it, they each voyaged to find a planet where they can live in peace. 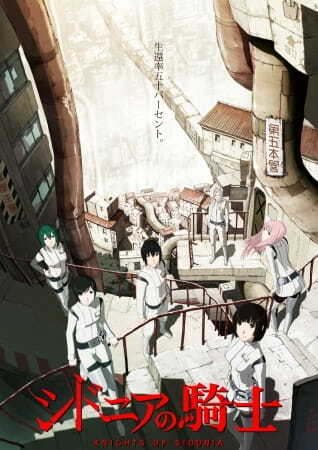 This story is one of spaceship named Sidonia fights against Gauna, with the central focus on Nagate Tanikaze who is a enigmatic teenage boy becomes one of pilots of guardian-robots, and grows up to be Flying Ace called "Knight of Sidonia". fragoff wrote: I hate CGI heavy anime. Really, even if the story and chatctaers are really good? 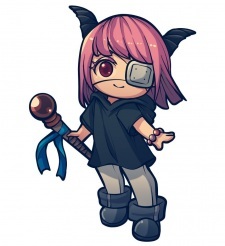 Or even fit eh CG is pretty good? An interesting thing to hate. Well if we are going with CGI heavy shows with a great story, lets just go all the way. I nominate Kingdom. It has one of the cringiest form of CG that takes a long time to get used to but has a story that is well worth it. 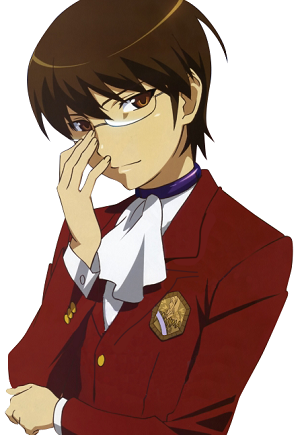 It is perhaps the only anime that has had a male character so masculine and badass, it actually made me break a tear for just how awesome he was. This is a very tough category for me to find candidates to nominate. I hardly ever check out video material for shows I haven't seen, so the only clue I have to go on for which series out there are CG-heavy are Andrew and Chris' reviews (and often, unless I'm highly interested in a particular series, I don't remember their comments for long). After a bit of googling, the 2 shows I would be interested in checking out - Kemono Friends and Arpeggio of Blue Steel - are both non-dubbed. 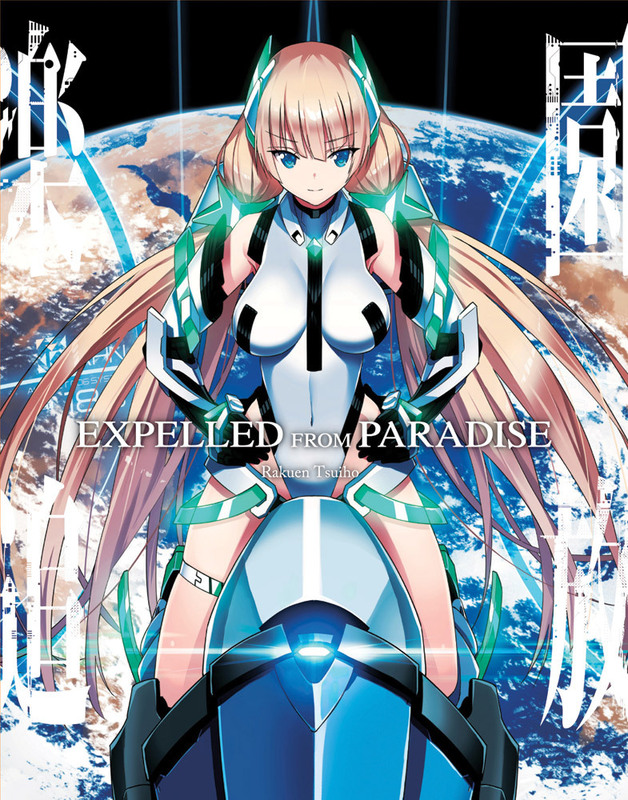 So I'm going to go the unconventional route of nominating a movie for the watch-along: Expelled from Paradise. If you decide that movies aren't eligible, then I'll skip out on nominations this time around. BlueSpark wrote: the 2 shows I would be interested in checking out - Kemono Friends and Arpeggio of Blue Steel - are both non-dubbed. gao, that’s a shame. Like last time we were saying not only do we need to think about legal streaming, but regional nonsense, and then of course there’s dubbing for your sake. Whatever happens I hope the winners have dubs. A shame that Kemono Friends doesn’t, it’s great. BlueSpark wrote: So I'm going to go the unconventional route of nominating a movie for the watch-along: Expelled from Paradise. I’ve actually been meaning to getting around to watching that too. BlueSpark wrote: If you decide that movies aren't eligible, then I'll skip out on nominations this time around. Unfortunately I think this has to be the case, it being a movie makes it’s too short and I don’t think it would work for such a general watch along. Really appreciate you taking the dive tho and trying to vote it, you got me thinking about it, that’s for sure. However I gave it some thought and while I won’t allow it this time, I think some future catergories I have planned will be allowed to have movies if people nominate them and maybe one day we’ll have a movie category, could even just do it every now and again for a chance of pace, just less common then the normal watch along. So at the very least you got me thinking about it and about future possibilities. I am sure there are some pretty good country or western songs out there that are marvelous, well executed piece of music. It will not prevent me from not listening to it, since i hate this genre. If that's ok then i would definitly pick up a movie: final fantasy: the spirit within. A vastly underated flic, victim of its lack of 'final fantasy' but a very descent si-fy. I'll nominate Ajin. Also streaming on Netflix. Studying hard to become a doctor, Kei Nagai is a high schooler who knows very little about Ajin, only having seen them appear in the news every now and then. Students are taught that these creatures are not considered to be human, but Kei doesn't pay much attention in class. As a result, his perilously little grasp on this subject proves to be completely irrelevant when he survives an accident that was supposed to claim his life, signaling his rebirth as an Ajin and the start of his days of torment. However, as he finds himself alone on the run from the entire world, Kei soon realizes that more of his species may be a lot closer than he thinks.